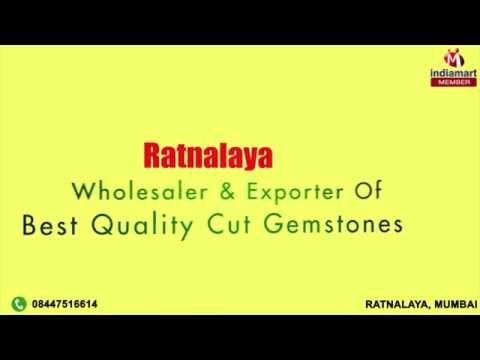 Welcome to Ratnalaya, established in the year 2003, we are one of the leading exporters, retailers, wholesalers and importers of this highly commendable range of Cut Gemstones. The offered range is made up of the finest Natural Gemstones, Precious Gemstones and Semi Precious Gemstones, which are which are highly desired in the market. The range%u2019s making involves the using of the finest machines, as per the set industry standards, at the vendor%u2019s end. Owing to this, the product has its quality highly standardized. In addition, it is marked at the most reasonable rate possible. In addition, our abidance of work ethics, have helped us in attainment of several highly reputed clients, comprising reputed names like Goldiam Jewelry, Sanghvi Jewelry and Gold Star Jewelry. Our huge client base includes markets in India, Asia, US, UK, Africa and importing from Sri Lanka.